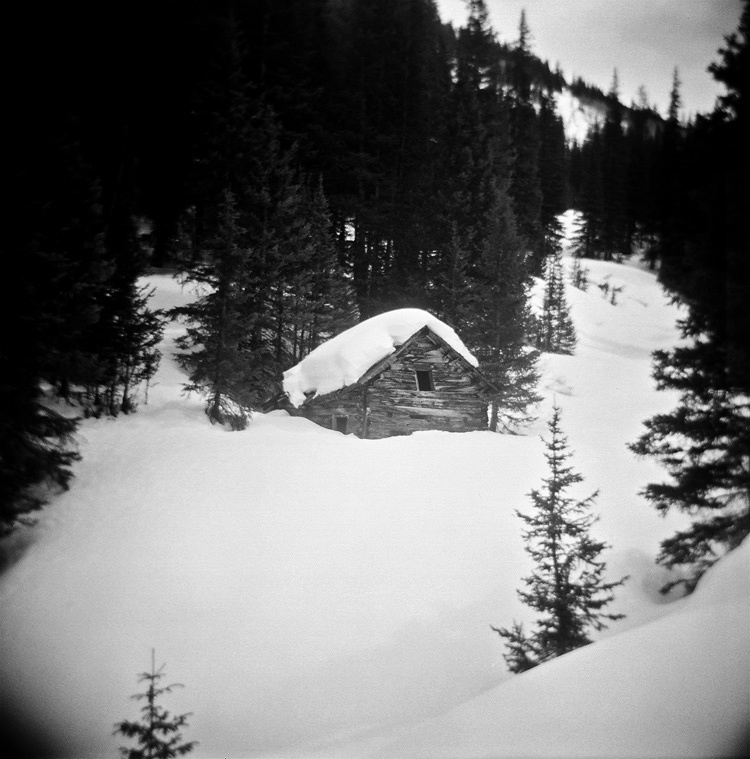 Deserted cabin near the Mary Murphy Mines, a long abandoned mining settlement in Colorado. Taken on a mushing trip in the area this winter. holy moly! he's snowed in! Such a warm winter scene. Lovely! Feels very lonely. Nice capture. Man that must have been cold! Great shot! The snow shape on the roof seems to mimic the Holga look.